Though we’ve gotten flicks based on video games all the way back to 1993’s Super Mario Brothers, I believe that 2016’s The Angry Birds Movie offers a first: a cinematic project that originated as a smartphone app. Of course, it’s still a video game, and it eventually migrated to game consoles as well, but I think its phone-based origins make it unique among film adaptations. In the film, we go to Bird Island, a location that offers a refuge for flightless birds. Most seem happy to be there, and this appears to be a content society. Except for Red (voiced by Jason Sudeikis). A cardinal who lives a solitary life, he gets upset easily, which forces him into an anger management class. 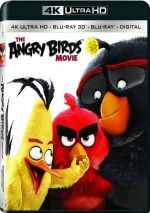 There fellow birds Chuck (Josh Gad) and Bomb (Danny McBride) attempts to befriend him, but Red resists these entreaties. Eventually an external event causes Red to abandon his isolated ways. Green pigs Leonard (Bill Hader) and his assistant Ross (Tony Hale) come to Bird Island and promise to be friends to the birds. Much merriment ensues. However, Red remains suspicious, so along with Bomb and Chuck, he infiltrates the pigs’ ship. There he discovers a slew of additional pigs and he interprets this as a threat. Red and his pals seek the legendary Mighty Eagle (Peter Dinklage) as they attempt to deal with this potential danger. When I learned of the existence of Angry Birds Movie, I moaned. I’m not someone who constantly complains about Hollywood’s supposed lack of originality/creativity – hey, I’m the guy who lines up to see every new superhero sequel, so that’d be a stretch for me. I don’t suffer a knee-jerk negative reaction to the prospect of remakes, reboots or adaptations of outside properties. And yet something about Angry Birds Movie made me… well, not angry, but slightly disgusted. Given how many other seemingly cheesy properties have hit the screens over the years, I don’t know why Birds provided the proverbial back-breaking straw, but I thought it crossed some line. Though Birds involved good talent, which buoyed my hopes. In addition to the actors named already, we find solid performers like Maya Rudolph, Kate McKinnon, Keegan-Michael Key and Sean Penn – yes, Sean Freaking Penn! With expectations firmly in check, I’m pleased to report that Birds offers a totally, completely, wholly, fully okay movie. While it definitely works better than it should, it still doesn’t manage to ever become better than moderately entertaining. Perhaps that counts as a victory, though, given how bad the movie could’ve been. After all, the video game on which it’s based offers virtually zero plot/character development. It was designed to be a simple time-waster on your smartphone, so it didn’t lend itself to a cinematic expansion. The fact the filmmakers managed to cobble a decent story around such a thin property seems nearly miraculous. Though it might’ve been more amazing if the movie made greater sense. Granted, I don’t expect a silly animated comedy about anthropomorphic animals to turn into a rich narrative, but Birds comes with major leaps of logic. One needs to swallow a lot of idiocy to stick with the story. If the viewer does that, though, mild rewards await. Don’t confuse Birds for anything special, because it isn’t. It melds a lot of animated film clichés and can meander at times as it stretches its threadbare story to the breaking point. Still, some cleverness emerges. The actors add mirth to the proceedings, and I can’t dislike a movie that hires multiple Oscar-winning Sean Penn to play a character with no lines of dialogue – that’s so perverse that I love it. All of this adds up to a perfectly watchable and occasionally amusing little adventure. Like the game on which it’s based, Angry Birds Movie lacks depth and will probably be forgotten as soon as it ends, but it gives us enough entertainment to make it enjoyable. Note: a capper pops up midway through the end credits. 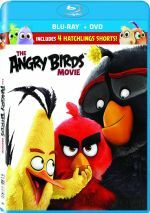 The Angry Birds Movie appears in an aspect ratio of approximately 1.85:1 on this Blu-Ray Disc. As expected, the movie delivered excellent visuals. At all times, the film showed terrific delineation. No instances of softness arose, so the image remained tight and well-defined. I witnessed no jagged edges or shimmering, and edge haloes were absent. Of course, no print flaws popped up. Colors excelled. Given all the birds and the island-related situations, the film boasted a broad, lively palette, and the hues came across with great vivacity. Blacks appeared dark and deep, and shadows seemed smooth and concise. Everything about the image satisfied. I also felt pleased with the film’s DTS-HD MA 7.1 soundtrack. Much of the audio stayed with general sense of the various situations, but more than a few action scenes resulted. The livelier sequences displayed nice range and involvement, and the rest of the material also managed to place us in the locations well. The track used the different channels to convey a lot of subtle but engaging information. Audio quality satisfied. Speech remained natural and distinctive, while music appeared peppy and clear. Effects showed nice dynamics, with crisp highs and warm lows. I thought the soundtrack added zest to the proceedings. The set delivers a slew of short extras, and we open with four Hatchlings Shorts. We get “Early Hatchling Gets the Worm” (2:06), “Easter” (1:17), “Mother’s Day” (1:00) and “Holiday” (1:02). These offer cutesy clips with the movie’s youngest birds. They’re a minor addition to the set at best. Six Deleted Scenes fill a total of six minutes, 33 seconds. In an unusual twist, all of these offer finished animation, not story reels. That implies they came close to the final cut – which implies they’re good, but the latter fails to become true. Some mild amusement results in these snippets but they don’t present anything especially memorable. Dance Along lasts three minutes, 35 seconds. This gives us a cute human “instructor” who demonstrates moves for us to follow. Even with the attractive blonde involved, this becomes a forgettable addition. Next comes the four-minute, 45-second Crafty Birds. It teaches us how to make a little catapult and a “Pig City”. Maybe little ones will enjoy this. With Creating the Real World of Angry Birds, we get an eight-minute, 29-second featurette. Hosted by actors Josh Gad and Jason Sudeikis, we get info from executive producer Mikael Hed, directors Clay Kaytis and Fergal Reilly, production designer Pete Oswald, producer Catherine Winder, CG supervisor Cam Langs, and visual effects supervisor Danny Dimian. “World” looks at visual design and animation. Despite its brevity, it includes some useful information. A short called Bubbles and Hal lasts a mere one minute, 35 seconds. It features a chat among the title characters that brings us a smidgen of amusement. Sibling featurettes appear via Meet the Birds (10:26) and Meet the Pigs (5:05). In these, we hear from Kaytis, Reilly, Hed, Sudeikis, Oswald, Gad, Winder, Dimian, character art director Francesca Natale, animation supervisor Pete Nash, producer John Cohen, executive producer David Maisel, and actors Danny McBride, Bill Hader, Tony Hale and Maya Rudolph. 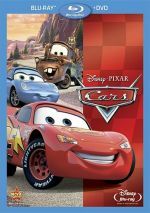 The clips cover the design and execution of various characters. Both segments give us pretty solid insights and satisfy. After this we find a music video for Blake Shelton’s “Friends”. It’s mainly a “recording studio” video, but it does incorporate unique footage of movie characters. These deliver a little pep. Making Music lasts 10 minutes, 31 seconds and features composer Heitor Pereira. He tells us a bit about various themes and also demonstrates them in different ways. The composer brings us a smattering of nice notes. A Photo Gallery covers three areas: “Characters” (52 frames), “Piggy Island” (23) and “Bird Island” (25). These deliver a good mix of images. Under In-Theater Policy Trailers, we see three short promos (2:58). I thought these would tell moviegoers the pre-show rules, but they really act more as encouragement to go to more films – only the third one addresses an actual policy. They’re moderately entertaining. With something called Symphony Mode, we get an isolated music track presented via Dolby Stereo. If you activate this, you can watch the film without dialogue or effects. Isolated scores used to be a staple of DVDs but have largely vanished over the years, so it’s fun to see one here. Previews gives us ads for Angry Birds Toons, Surf’s Up 2: Wave Mania, Open Season: Scared Silly, and Hotel Transylvania 2. The 3D disc throws in a 3D promo for Transylvania 2 as well. No trailer for Birds appears here. Does The Angry Birds Movie provide a great animated comedy? No, but with a fine voice cast, it overcomes its questionable origins to deliver a reasonably entertaining tale. The Blu-ray boasts excellent picture as well as very good audio and an erratic set of supplements. Unexceptional but enjoyable, Birds creates a decent effort.